Product prices and availability are accurate as of 2019-03-02 17:56:58 EST and are subject to change. Any price and availability information displayed on http://www.amazon.com/ at the time of purchase will apply to the purchase of this product. 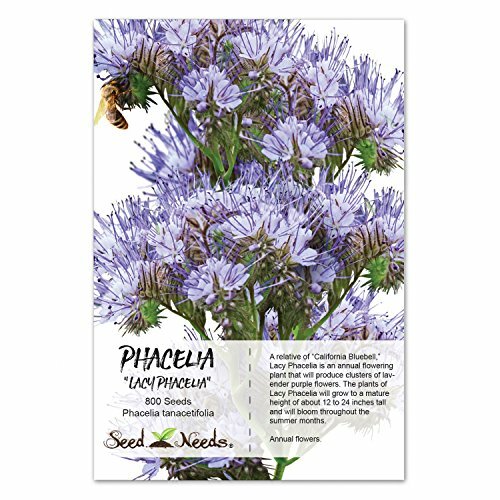 Grow a garden filled with Lacy Phacelia, from freshly harvested Phacelia tanacetifolia seeds. A relative of "California Bluebell," Lacy Phacelia is an annual flowering plant that will produce clusters of lavender purple flowers. The plants of Lacy Phacelia will grow to a mature height of about 12 to 24 inches tall and will bloom throughout the summer months. They are known to attract an array of beneficial insects including bumblebees, hummingbirds, butterflies & even ladybugs. Grown as an annual flowering plant, Lacy Phacelia will sprout & grow quickly, bloom profusely and then later die with the first killing frost. Lacy Phacelia flower seeds can be collected at the end of the season to regrow the following year. Seeds of this beautiful flowering plant can also drop to the bare ground beneath it to naturally reestablish the following year as well. Quality Phacelia seeds packaged by Seed Needs. Intended for the current and the following growing season. Packets are 3.25" wide by 4.50" tall and come with a full colored illustration on the front side, as well as detailed sowing instructions on the reverse. 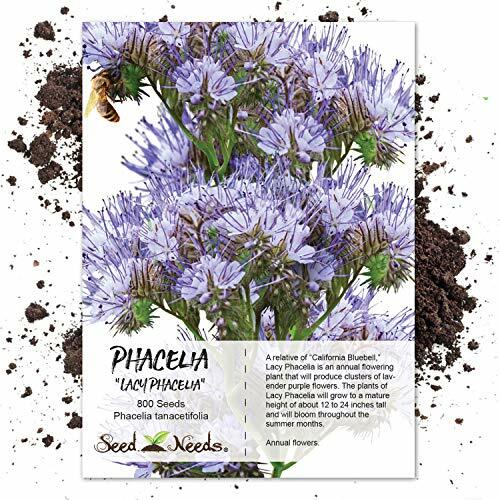 A relative of "California Bluebell," Lacy Phacelia is an annual flowering plant that will produce clusters of lavender purple flowers. 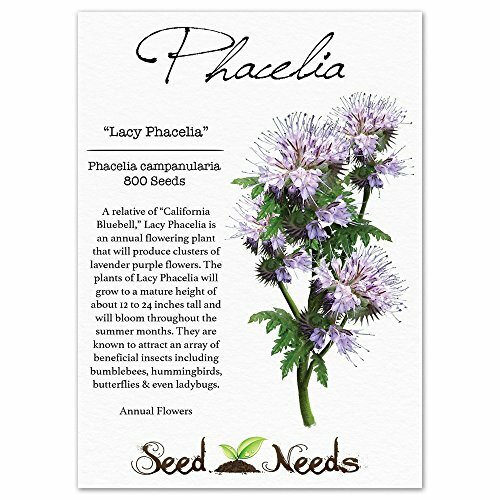 The plants of Lacy Phacelia will grow to a mature height of about 12 to 24 inches tall and will bloom throughout the summer months. 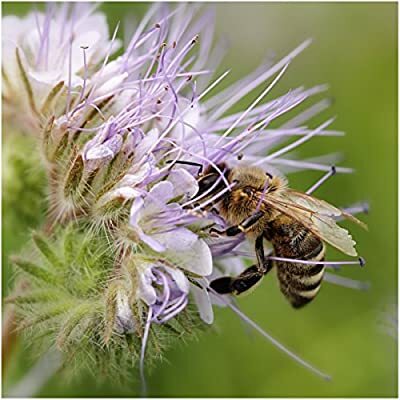 Lacy Phacelia plants are known to attract an array of beneficial insects including bumblebees, hummingbirds, butterflies & even ladybugs. Grown as an annual flowering plant, Lacy Phacelia will sprout & grow quickly, bloom profusely and then later die with the first killing frost. Lacy Phacelia flower seeds can be collected at the end of the season to regrow the following year. 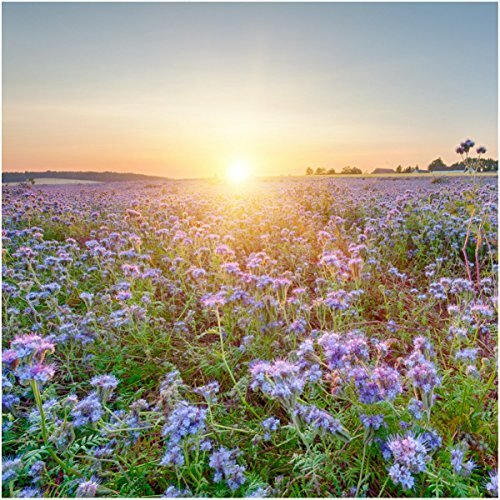 All Phacelia seeds sold by Seed Needs are Non-GMO based seed products and are intended for the current & the following growing season. All seeds are produced from open pollinated plants, stored in a temperature controlled facility and constantly moved out due to popularity.